OUTBREAK!! IF You Look On The LEFT Side Of R&B Singer USHER'S Lip . . . It Appears That He's Got A GIANT HERP BUMP!!! R&B singer Usher is being sued for allegedly exposing three people to the herpes virus. 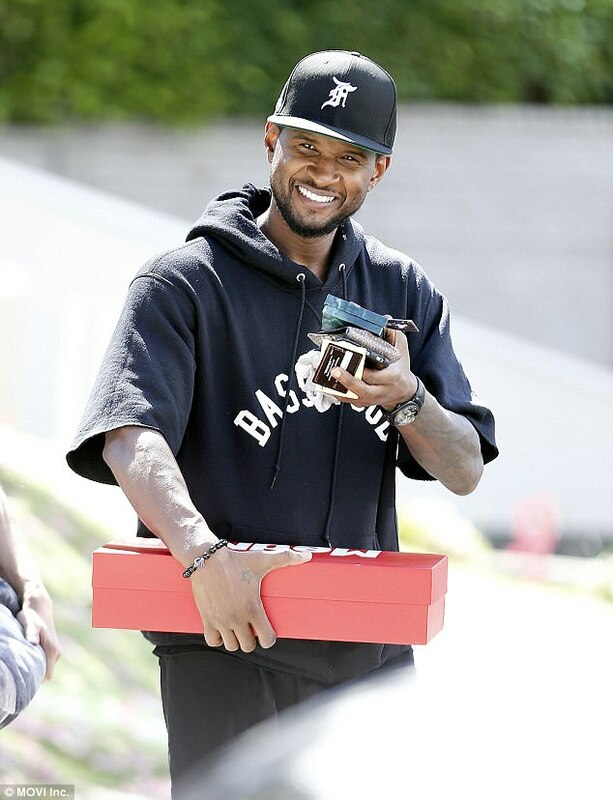 While Usher denies the claims - he appeared to ADMIT that he was exposed to the herpes virus during a previous lawsuit. And look closely at the below pic- is that a HERPES BUMP on the side of his TOP LIP? ?